This beautifully maintained family residence offers generous sized living areas and is one that is sure to impress! This truly is a lifestyle choice, it’s all you could want, privacy and space without the high maintenance. Walk to shops, transport, parks and Schools. Easy access to bike track. Just 12klms to the CBD. Contact Jan or Alan to arrange a private viewing! Hard working and supportive team with great communication throughout the entire process. 5 STARS ! If you want to sell your home with a professional, caring agency, then Innovation Real Estate is your first - & only ! - stop ! This is my fourth sale with Innovation.. nothing speaks louder for a company than continued return business ! 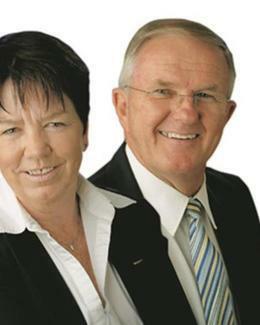 Always positive, Jan & Alan & their staff work incredibly hard for their clients, maintaining a warm & friendly, professional relationship, to sell your property. No problem is too large, no detail too small, for them to resolve successfully. My sincerest thanks, once again on a successful sale ! Bravissimo, I say ! The team at innovation real estate worked incredibly hard to achieve a great result in a difficult market. I was interstate for the campaign and they went over and above helping to maintain the presentation of the property while on the market. The local area experience of Jan and Alan with the support of an enthusiastic team truly sets them apart. Thanks team! 30 Barcoorah Street Westlake What a fantastic and friendly team. From the moment we put an offer through, the communication was quick and they have made the whole process very smooth. I would like to specifically thank Jan and Vanessa for all their help and support during this process. We couldn't have asked for better agents. Thank you so much for everything and we will see you soon. 12 Elamang Close Sinnamon Park For the second time, I would like to thank Jan and Alan for being a great team working on my property sale. They made the exercise incredibly simple and they were very professional and discreet at all times. Both experiences were fast and without complication which I believe to be accurate pricing, timing and great agents.Would not hesitate to utilise their services again in the future. 31/580 Seventeen Mile Rocks Road Sinnamon Park Steve and I are happy to recommend Jan and Alan as exceptional estate agents. Jan was our first contact, her advice on pricing was spot on and she moved quickly to list our property. Jan and her team kept us informed of progress an interest right from day one and we sold our property much faster than we expected to in a slow market. We believe it was Jan and Alan's contacts and commitment that bought about an excellent and realistic sale price in a speedy time frame. We have no hesitation in recommending them for honest, personal and professional, non nonsense service. 3 Miena Close RiverhillsWe cannot thank Jan and Alan enough!!! To get a contract on 1st day on the market -WOW!!! How can you top that!!!! Then a backup contract a week later (just in case). How could we lose!!! Why would you go anywhere else? We would recommend them to anyone. Thank you so much. 46 Derwent Place Riverhills We decided to go with Jan & Alan after reviewing a number of agents in the area and our choice was justified. Very good advice and excellent professionalism in getting us a good result, while keeping us informed all the way through the process. We could not be more satisfied. Absolutely professional and virtually stress free. Jan sold our house in Mt. Ommaney for the asking price in four days and looked after every detail necessary to make the sale go through without a hitch. She was always available, kept in close touch and never once did not answer any query as soon as practicable. The whole process was very smooth and happened exactly as as planned. I can not recommend her services highly enough.